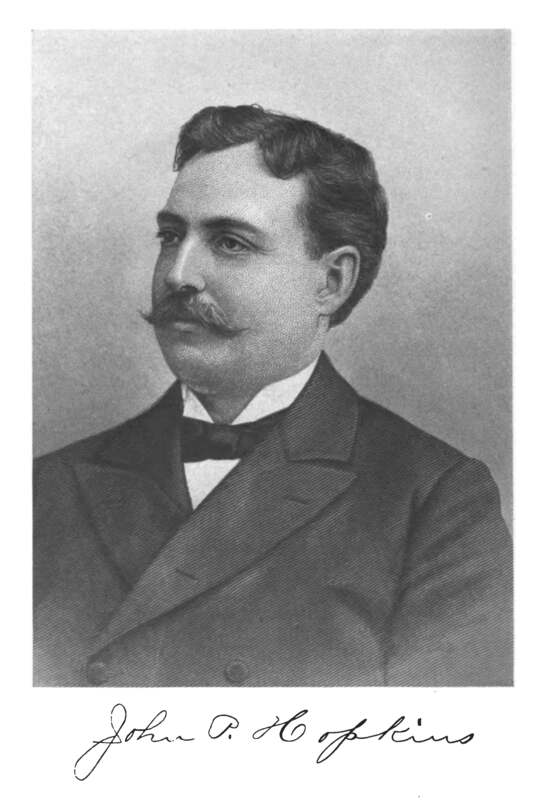 John Patrick Hopkins (1858 - 1918) was the Democratic mayor of Chicago from 1893 to 1895. He was the first of nine Catholic Irish-American mayors of Chicago. In March 1894 Clarence Darrow became involved in political battle in Chicago. Darrow and other lawyers represented Billy "The Clock" Skakel who was trying to defeat his boss "Bathhouse" John Coughlin in an election for alderman in Chicago's First Ward. The First Ward was notorious for corruption. When Skakel looked like he had a chance to win, Coughlin got the election board, controlled Mayor Hopkins' people, to remove Skakel's name from the ballot without granting him a hearing. The board removed Skakel because he had been arrested and fined some years previously for gambling. Darrow and the other lawyers went before a judge to argue that removing Skakel from the ballot was illegal. The judge agreed and Skakel was put back on the ballot. Coughlin ended up winning the election that was held on April 3, 1894.